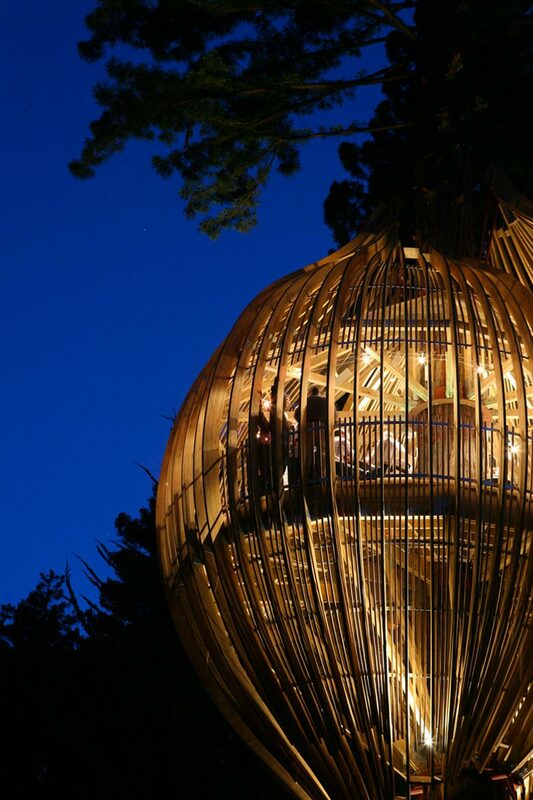 Pacific Environments Architects Ltd. is responsible for this childhood dream come true restaurant placed on the north part of Auckland, New Zealand. 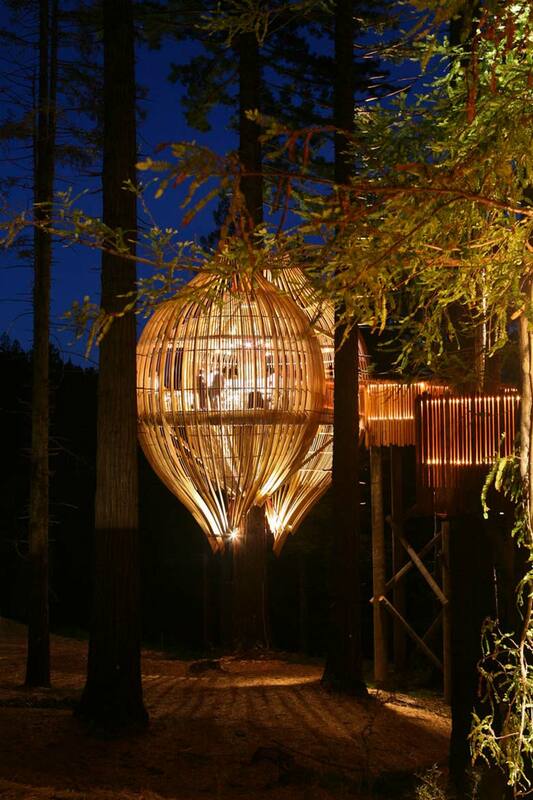 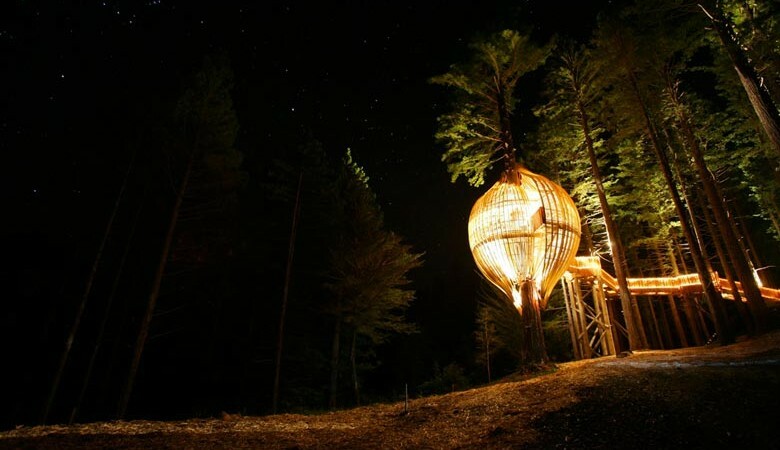 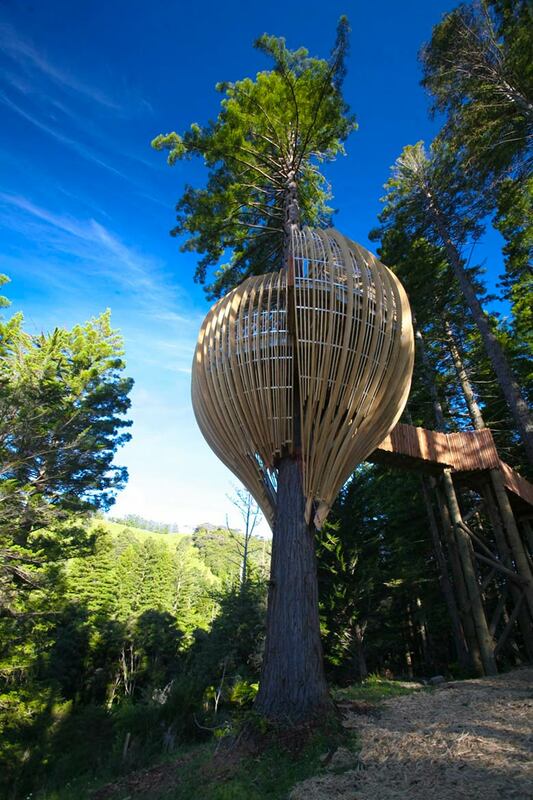 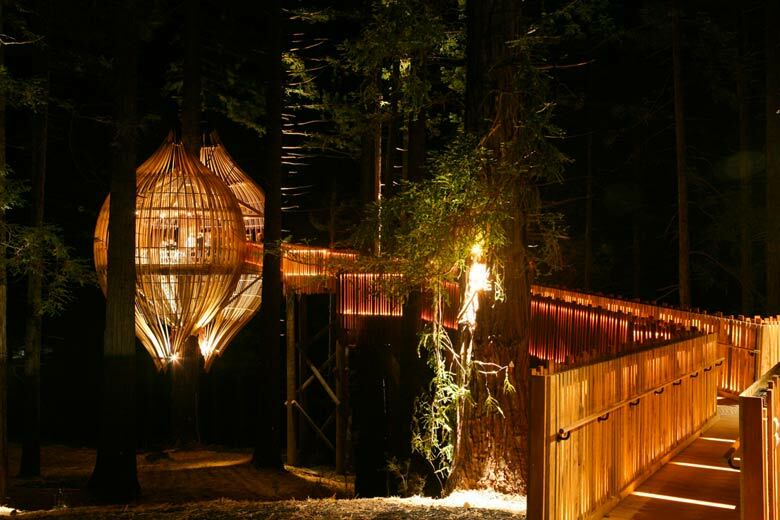 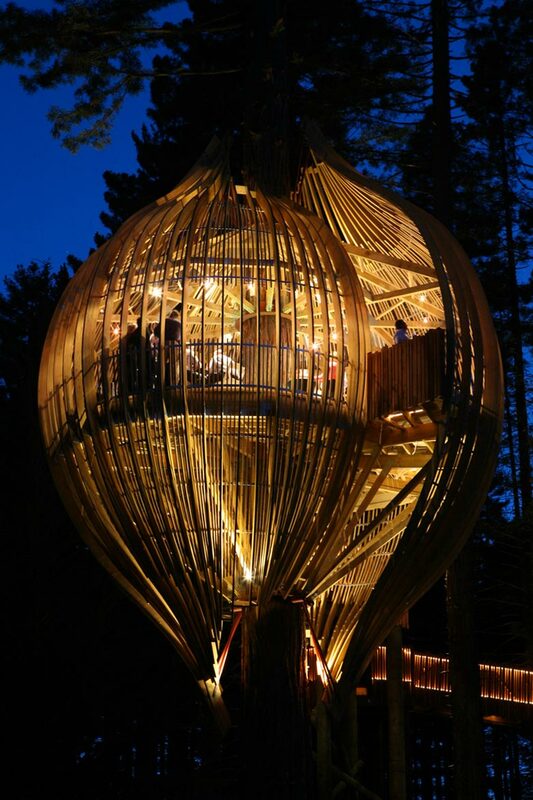 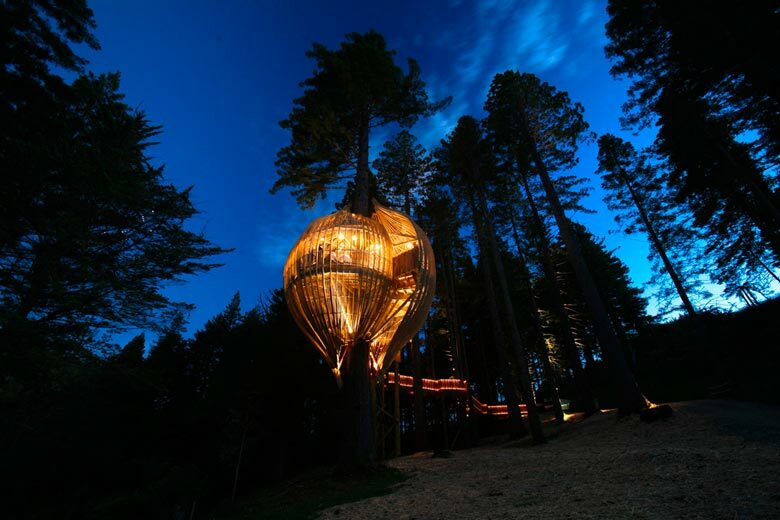 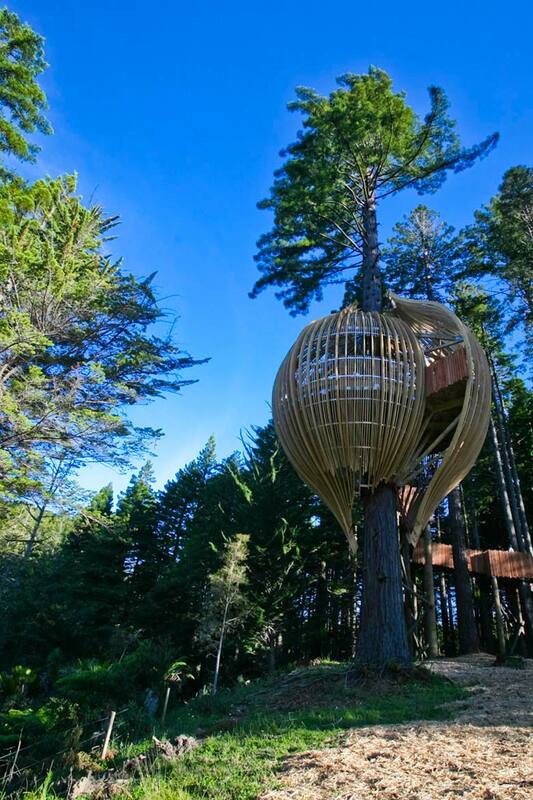 The Yellow Treehouse Restaurant is constructed on a 40 meter high redwood tree, and is bound to take the breath away from many a young treehouse lover, as well as his parents. 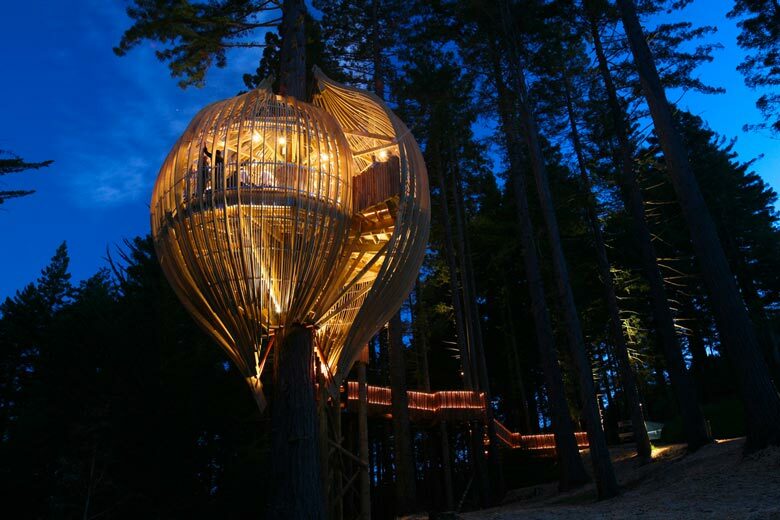 The entire construction was fairly simple, but the result is stunning. 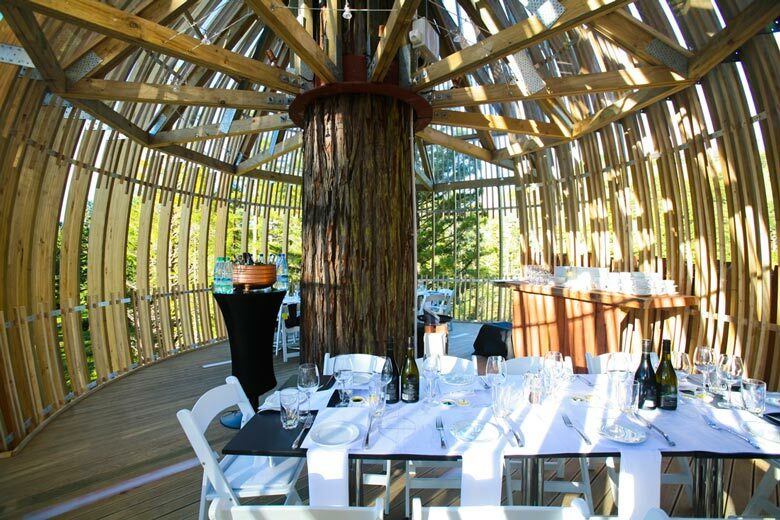 The restaurant is consisted of plantation poplar planks and redwood balustrading. 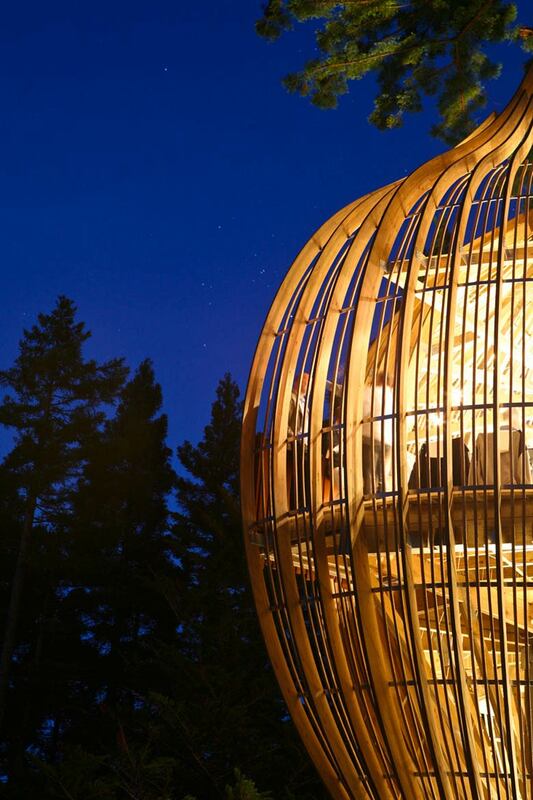 The restaurant is shaped like a cocoon around the tree and, since the planks are not placed closely next to each other, it is filled with natural light and fresh air. 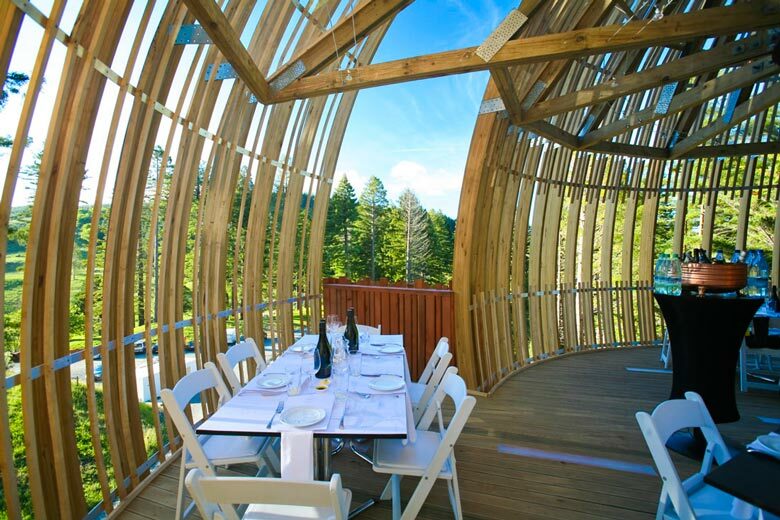 The two rounded parts are accessed via an elevated Glulam path that fits the rest of the restaurant perfectly. 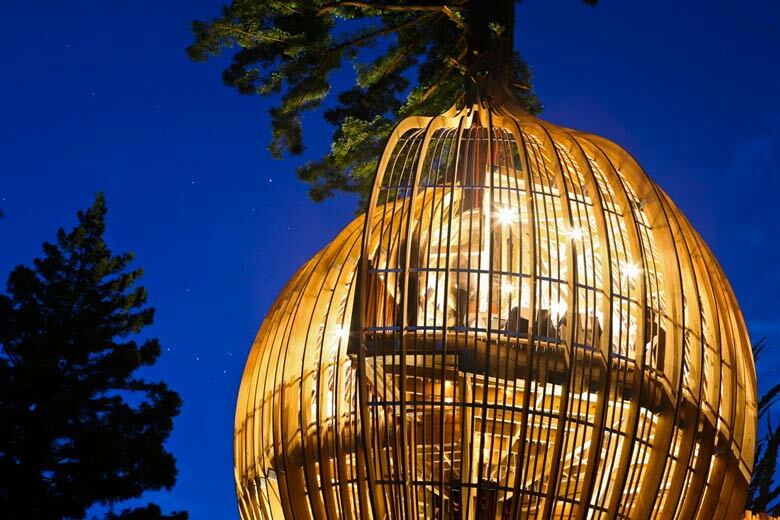 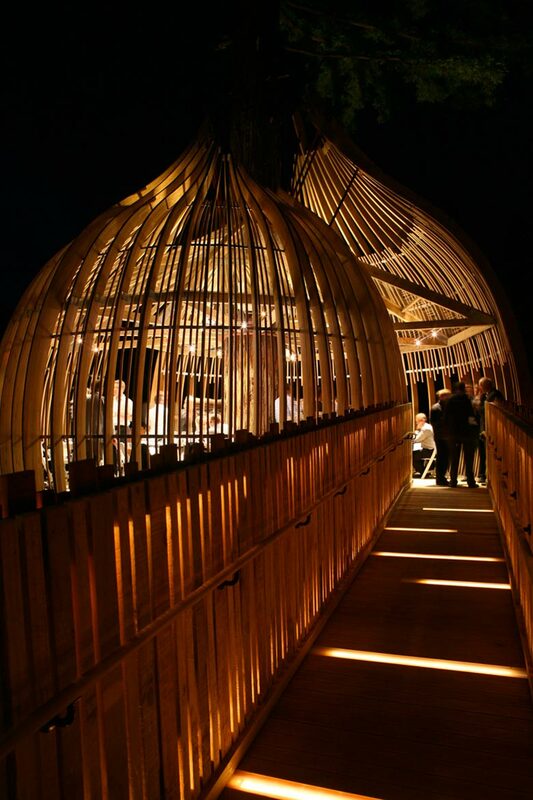 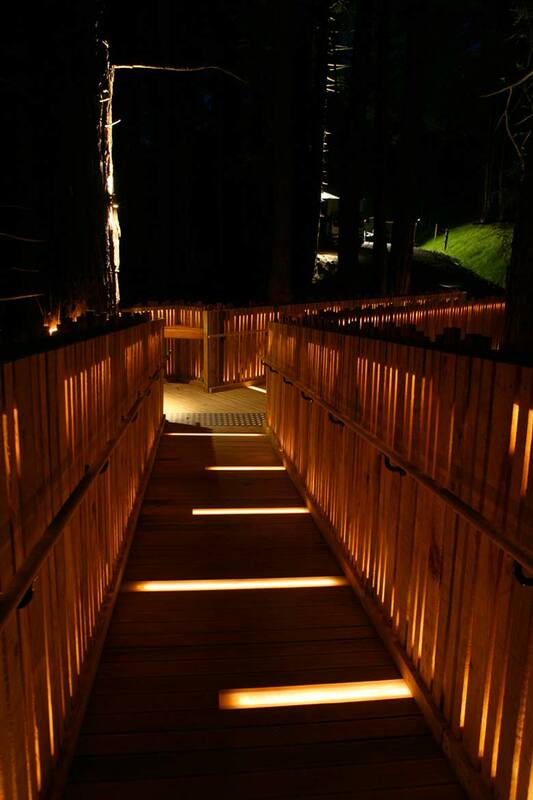 At night the Yellow Treehouse restaurant, as well as the path, is illuminated by warm-colored lights that give it a romantic and natural shine that in no way reduces the value of nature around. 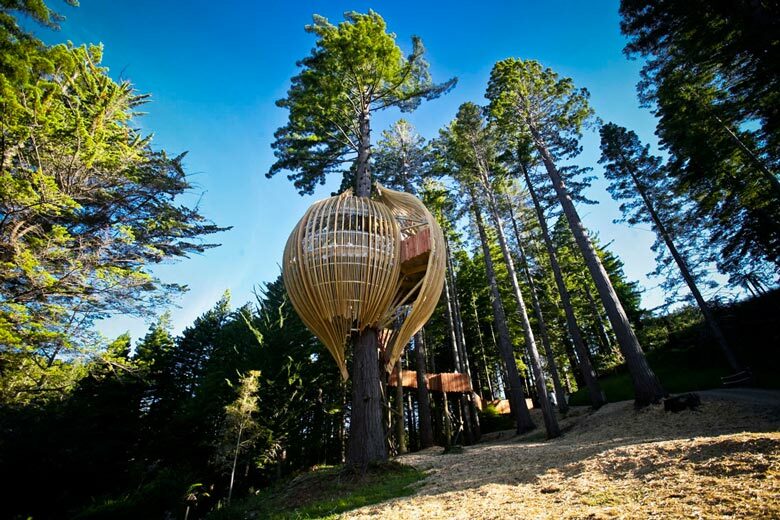 The Pacific Environments Architects Ltd. described the project as being ‘reminiscent of childhood dreams and playtime, fairy stories of enchantment and imagination’, and ‘the treehouse we all dreamed of as children but could only do as an adult fantasy’. 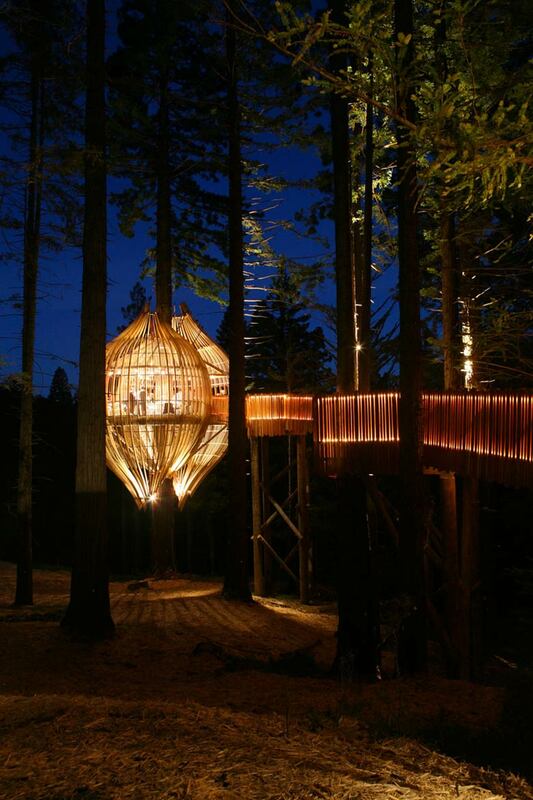 This treehouse is definitely a breath of fresh air. 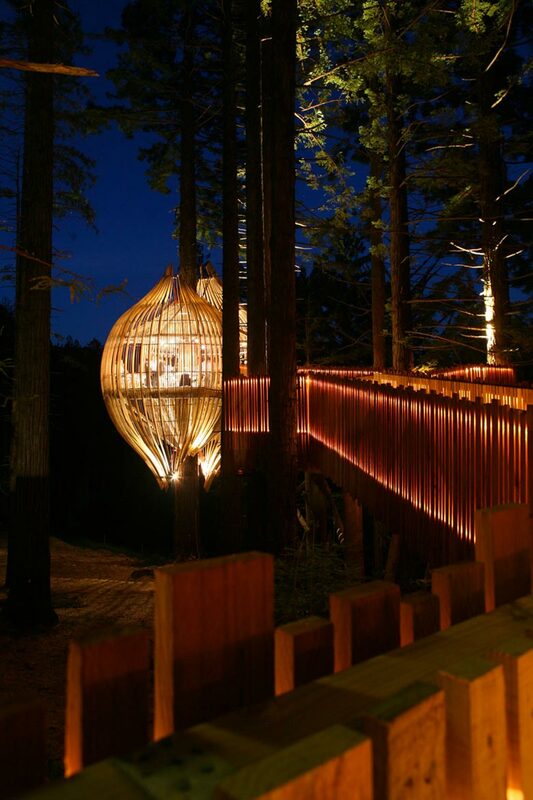 It is carefully and successfully integrated into the landscape and provides full functionality of a restaurant that is enhanced by the unusual location and shape.